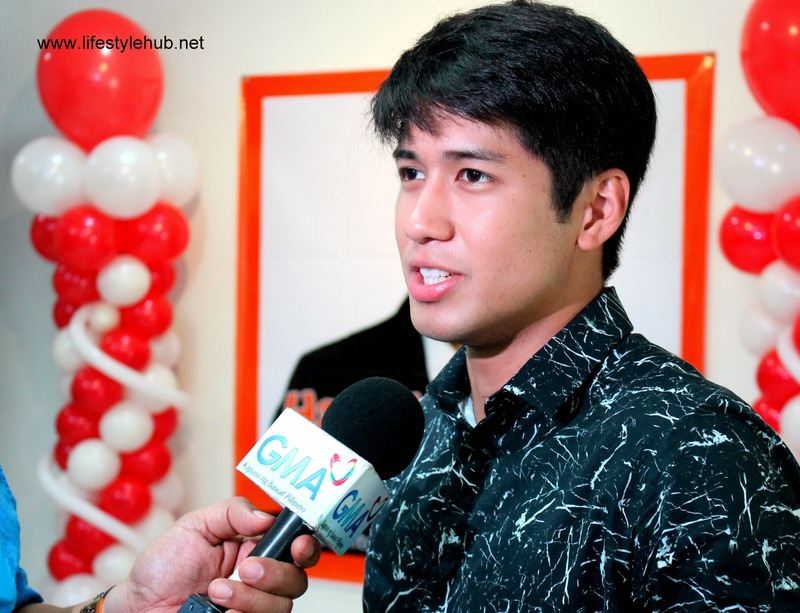 Aljur Abrenica takes a break from "Kambal Sirena" and from recording his upcoming album to spend time with the kids of World Vision in Quezon City. It was easy for the Kapuso hunk to chose World Vision as the outreach venue for his birthday since he has pledged educational support for two children from Palawan through the non-government organization. Aljur will be turning 24 on March 24 but he celebrated his birthday early on March 20 to not intervene with his taping schedule for his newest primetime show. Aside from spending time with his family over the weekend, the Starstruck Season 4 winner is marking his birthday with the World Vision kids. "Kailangan mag give back sa daming blessings. I am starting with World Vision." The former Machete star was emotional when he shared how happy he is receiving letters from his beneficiaries. But if there's one wish that Aljur can ask for his birthday, it is the warm acceptance of the public for his sirena-serye "Kambal Sirena". His new show is facing stiff competition with ABS-CBN's "Dyesebel". "We're aware of the competition. Pressure? Di namin masyado iniisip yung kompetensya eh. We're focusing more on sa kung ano ang kaya naming gawin. Kung ano man yung nagawa namin before, paano mas mahihigitan pa," he said. Aljur also expressed that he and his co-stars are taking more time on giving the viewers a quality show than be destructed with ratings. "Di ko nababalitaan talaga ano yung mga nangyayari sa kabila. Kung nasa trabaho kami, we're giving our 100 percent. Mas binibigyan namin ng pansin ang quality, ang story, ang acting, ang sa camera. Di ko actually inaalam ang ratings." Kantar Media provided the first viewership data for this week which shows "Dyesebel" claiming the number 1 spot on Monday, March 17. "Dyesebel" debuted with 32.8% while "Kambal Sirena" started its second week with 17.9%. Other ratings provider still has to supply their data though. On netizens reactions comparing Anne Curtis, who portrays "Dyesebel", and Louise delos Reyes, the actor politely focused on his co-star's role. "Ang masasabi ko lang, she is a very good actress. It's very hard to portray two characters. Nagsi-switch kasi eh. I can say na talagang pinaghandaan niya. Galing... Mahusay..."
On being partnered to who entertainment columnists consider a newbie in showbiz, the young actor thinks accepting roles should transcend any form of showbiz hierarchy. "Wala naman sa tagal, wala naman sa puwesto sa showbiz yan eh. Ibibigay naman yan sa kung sino ang deserving. Yung iba nga diyan nasa taas na pero hindi na maayos magtrabaho. For me, being paired with Louise is an honor. Di naman basta-basta binigay ng GMA yan. Pinag aralan nila yan." Aljur declined to confirm any rift between him and Alden Richards who is also being tagged as GMA 7's primetime prince and who was Louise delos Reyes' previous love team. He is thankful for the chance to know Alden while taping for their episode of Magpakailanman. "Aware naman kami sa nangyayari sa paligid diba. People talk about us. Ang nagustuhan ko sa kanya (Alden) is hindi siya ganun eh. Hindi siya looking forward for the title lang. Mas malalim siyang tao," Aljur narrates. If you are hearing a remake of Jeremiah's smash OPM hit "Nanghihinayang" over the radio but wondered who the singer is, that's Aljur Abrenica. The remake is the first single in his upcoming album. He is still finalizing the tracks to be included in the album but the Cosmo hunk is already excited. He considers this to be another dream that came true.